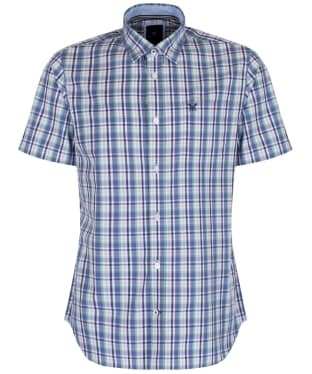 Perfect for pairing with your shorts on those warmer days, the Men's Crew Clothing Plain Short Sleeve Shirt is a wardrobe essential for any stylish gentleman. Crafted from super soft cotton and designed with short sleeves, this shirt will be comfortable to wear even on the sunniest of days! 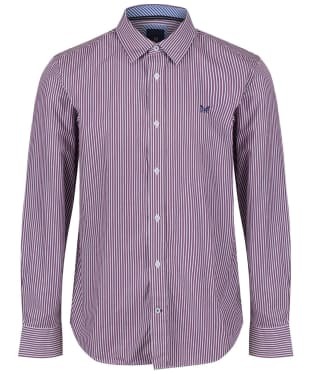 This shirt has been cut to a slim fit to offer a stylish silhouette. 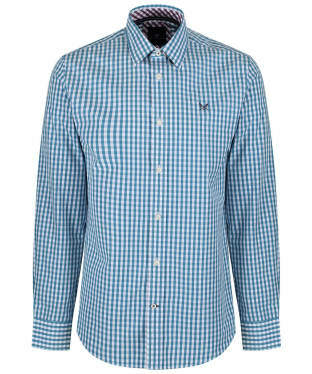 Smart and stylish, the Men's Crew Clothing Classic Gingham Shirt is a timeless piece that no gentleman's wardrobe should be complete without. 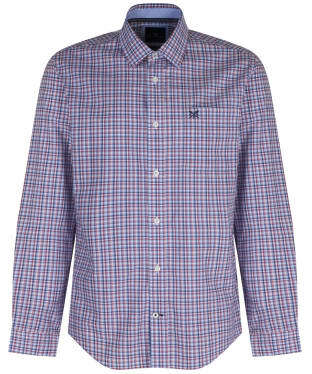 Perfect for whether you are heading into the office, or out for dinner, this versatile shirt boasts an on-trend gingham check that you are sure to love. 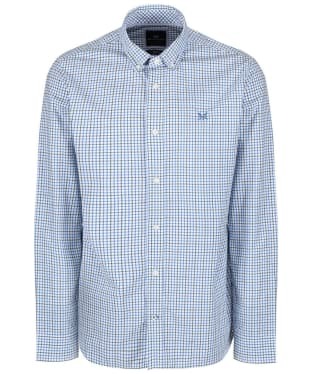 Soft and comfortable, this cotton shirt has been cut to a classic fit for ease of movement. 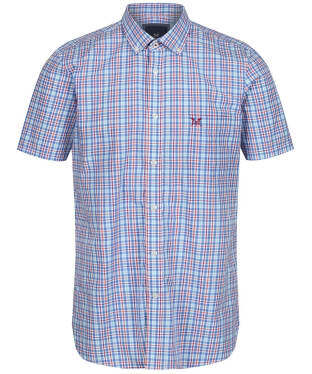 Perfect for those warmer days, the Men's Crew Clothing Multi Check Shirt has been designed with short sleeves and crafted from cotton to offer a super soft, breathable feel ideal for wearing whether you are heading out into town or simply down to the beach! 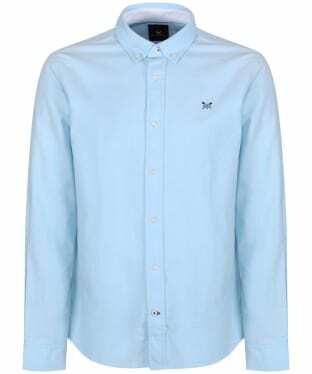 Cut to a classic fit, this shirt will skim over the shoulders through the body for a stylish look, whilst ensuring ease of movement. 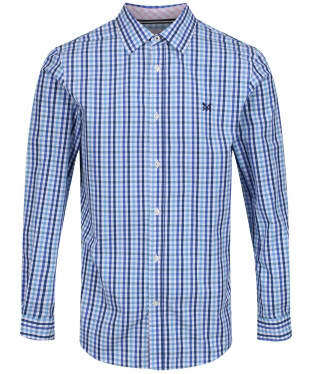 Featuring a timeless check design, this premium shirt will keep you looking on-trend through this season and beyond. 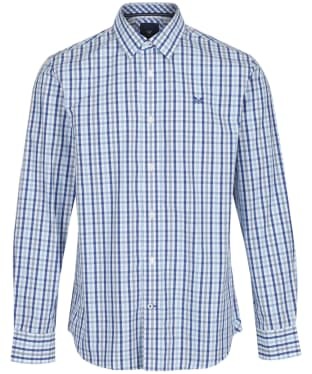 A wardrobe staple for any stylish gentleman, the Men's Crew Clothing Tattersall Check Shirt is perfect for taking you from the office into town with ease. 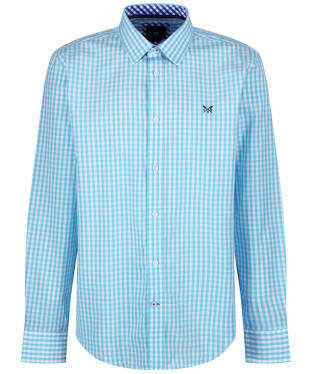 Crafted from cotton and cut to a classic fit, this smart shirt will be comfortable to wear and offers ease of movement. For a premium, high quality feel, this shirt is finished with signature Crew branding. 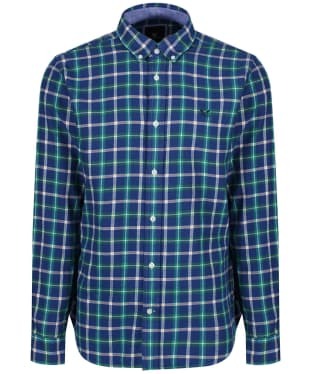 The Men's Crew Clothing Pendower Check Shirt is perfect for pairing with your favourite jeans, chinos or shorts to complete your stylish smart casual look with ease. Soft and comfortable, this shirt has been crafted from 100% cotton, and designed with short sleeves to offer a cool feel during the warmer seasons. This shirt is finished with an on-trend check design. Perfect for the warmer seasons and beyond, the Men's Crew Clothing Classic Linen Shirt is perfect for pairing with your favourite jeans, chinos or shorts to complete your on-trend look with ease. Super soft and comfortable, this lightweight shirt has been crafted from 100% linen to offer a breathable, cool feel. 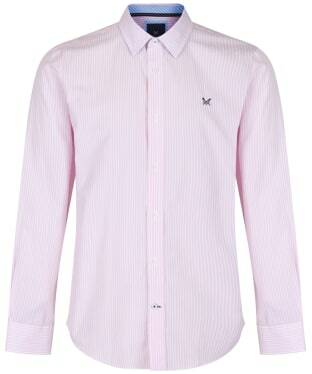 A holiday wardrobe essential, this shirt is finished with signature Crew branding for a premium, stylish feel. 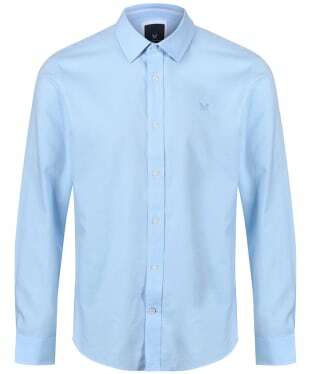 Sure to keep you looking smart and on-trend, the Men's Crew Clothing Oxford Slim Shirt has been designed with a button down collar and button down cuffs making this shirt perfect for whether you are heading into the office or into town. 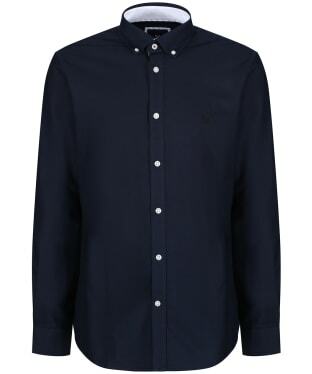 Cut to a slim fit, the Oxford Shirt has been designed to offer a narrower body for a neat, stylish feel that you are sure to love. Crafted from soft and comfortable 100% cotton, the shirt is finished with signature Crew Clothing branding for that fashion forward, quality feel. 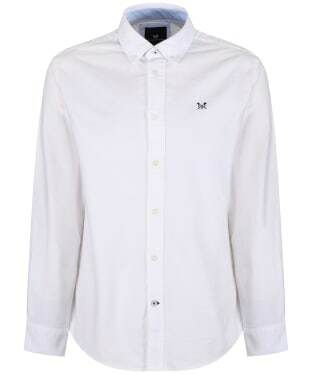 The Men's Crew Clothing Sandbanks Slim Shirt is perfect for pairing with your favourite Crew chinos or jeans to complete your smart casual look with ease. 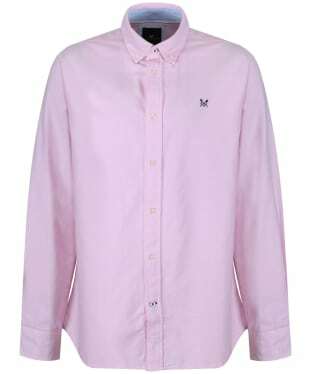 Crafted from 100% cotton, this super soft shirt will be comfortable to wear, and has been cut to a slim fit to offer a narrower body for a neater fit and that on-trend feel that you are sure to love. 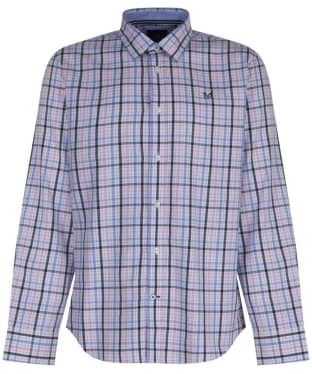 Featuring a checked design for that stylish look, the Sandbanks Slim Shirt is finished with signature Crew branding for that fashion forward, quality feel. 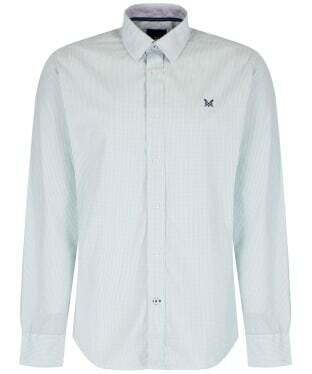 When the weather heats up, a soft linen shirt like this Crew Clothing Linen Classic Shirt is an ideal pick. 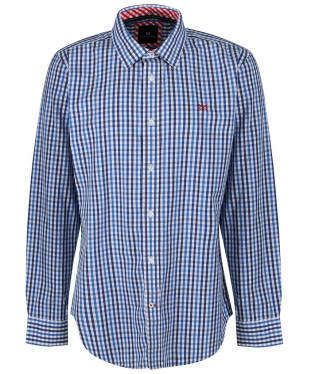 Cool and comfortable, this long sleeve shirt is versatile for everyday wear, and features a classic sit down collar and buttoned cuffs which can be rolled back in the warmer weather. A contrast under placket and neat Crew Clothing crossed oar logo gives the shirt a premium finish. 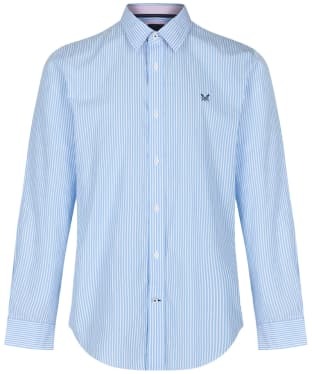 An essential for any stylish gentleman's wardrobe, the Men's Crew Clothing Whitmore Classic Stripe Shirt has been tailored to allow a touch more room through the body and sleeves, creating a shirt that is comfortable and perfect for everyday wear. Whether you are spending your day in the office or relaxing with friends and family, you can be sure that this timeless piece with a button up front fasten and button down cuffs will keep you looking smart all day long. 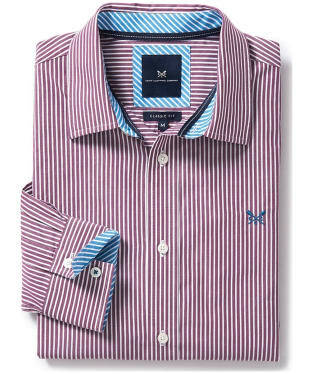 The super soft 100% cotton shirt features a fashion forward striped design, and is finished with signature Crew Clothing branding for that added mark of quality. 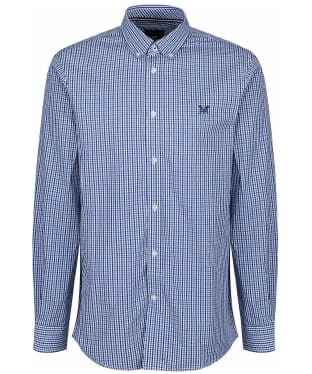 Complete a smart, casual look with ease this season with the men's Crew Clothing Classic Stripe Shirt, crafted from 100% cotton to offer added comfort with a soft touch you are bound to love. 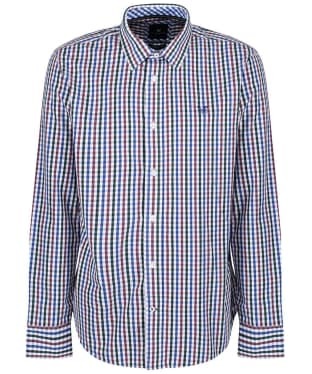 This stylish shirt boasts a classic pin stripe design, perfect for teaming with jeans or chinos to complete your off duty weekend style. 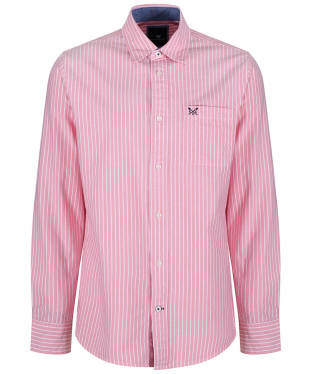 For an added touch of style and wearability this stylish shirt has been shirt with contrasting stripes, stitching and Crew Clothing branding to the chest. 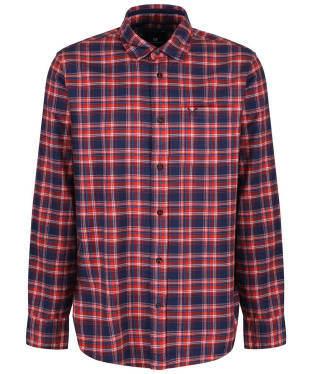 No stylish gentleman's wardrobe should be complete without the Men's Crew Clothing Anderby Slim Check Shirt. Tailored to a slim fit, the shirt has been designed to neatly fit around the body, giving you an on-trend look that you are sure to love! The soft 100% light flannel construction will keep you comfortable all day long, whether you are strolling along the seafront or out in town. 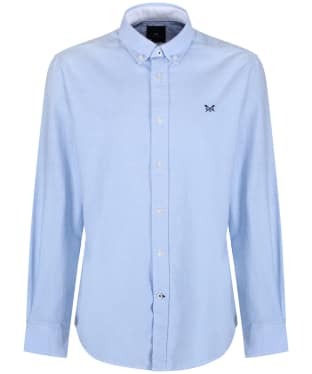 The button down collar and cuffs add a super smart feel to the shirt, which will look fabulous when paired with your favourite Crew chinos or jeans for a fashion forward outfit that is sure to keep you on-trend. The Anderby is finished with signature Crew branding for an added mark of quality. 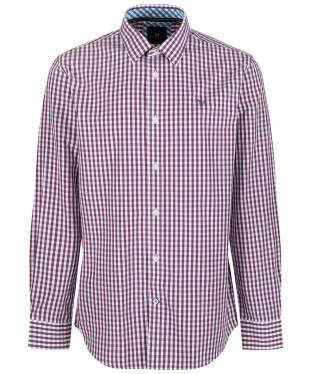 Complete your smart, casual look this season with the men's Crew Clothing Cranborne Classic Shirt, crafted from 100% cotton for add comfort and wearability. 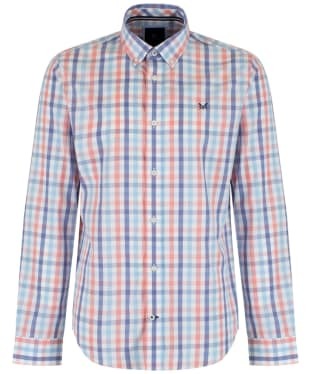 This classic style shirt is perfect for teaming with your chinos or jeans to finish for off duty style. For an added touch of style and wearability the Cranborne has been finished with Crew Clothing branding to the chest. 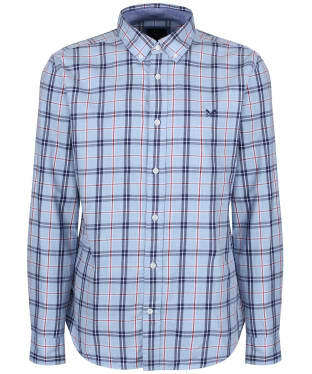 The Men's Crew Clothing Oxford Classic Shirt is perfect for completing your smart, casual look this season, great for teaming with both jeans and chinos to complete your look with stylish ease. 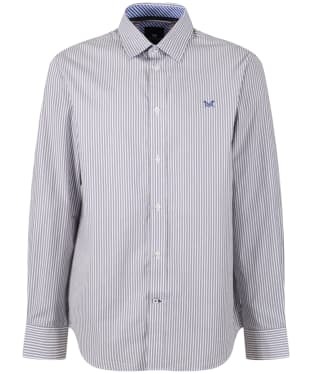 This shirt has been crafted from 100% cotton, featuring a brush finished for added softness. 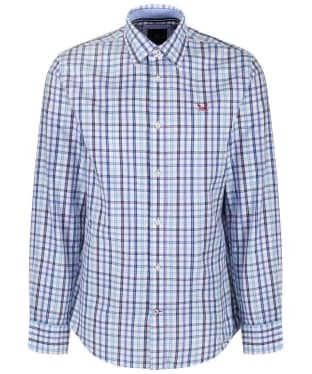 The button down collar is perfect for keeping a structured neckline throughout the day. 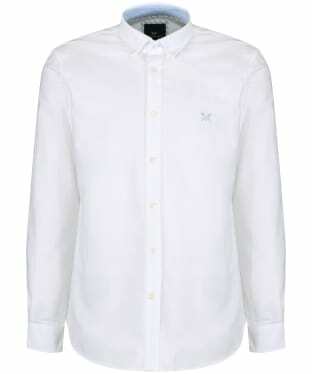 This stylish Oxford shirt has been tailored to Crew Clothing's classic fit which is cut for a more relaxed feel. 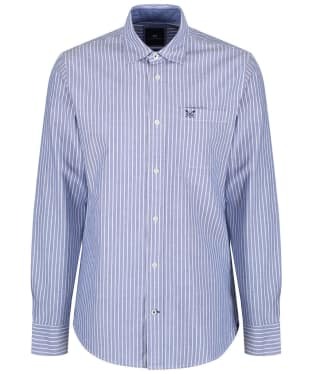 No stylish gentleman's wardrobe should be complete without the Men's Crew Clothing Classic Stripe Shirt. 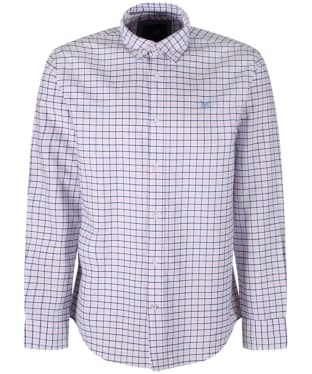 Crafted from 100% cotton, this shirt has been cut to a classic fit to allow a touch more room through the body and sleeves to keep you comfortable all day long, making it ideal for whether you are commuting into the office or heading into town! 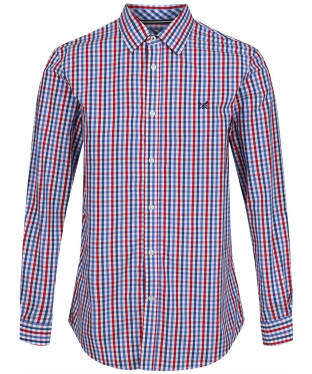 With an all over striped design, this shirt is sure to keep you on-trend through this season and beyond, and is perfect for pairing with your favourite Crew chinos or jeans to complete your smart casual attire with ease. 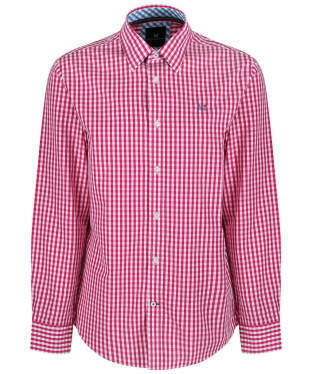 The Men's Crew Clothing Classic Gingham Shirt is perfect for keeping your style looking smart this season and beyond, boasting a stylish gingham check you are sure to love! 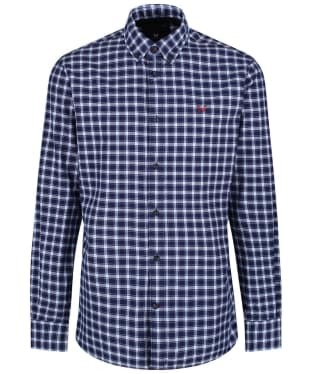 This stylish shirt has been crafted from 100% cotton poplin to offer you a comfortable, easy care shirt which is great for teaming with both jeans and chinos. This shirt has been finished with Crew Clothing branding to offer you an added touch of quality and style. 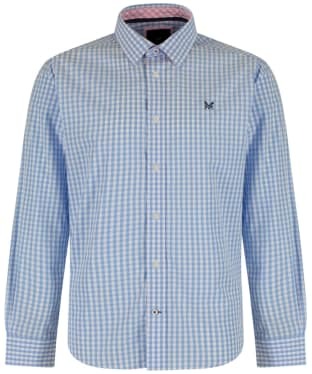 The Men's Crew Clothing Classic Gingham Shirt is a timeless gingham print shirt, made with 100% cotton to keep you cool and comfortable this spring summer. This wardrobe classic is perfect for work or play, made in a classic fit. It's soft to touch, has button fastening down the front, contrasting colour fabric on neckline and cuffs and contrast stitching. Finished off with Crew Clothing branding embroidered to the chest. 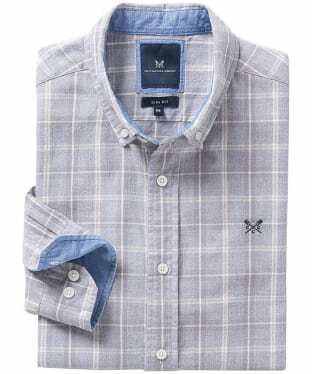 Perfect for adding a smart feel to any outfit, the Men's Crew Clothing Classic Gingham Shirt features a button fasten, along with button down cuffs for a neat finish. 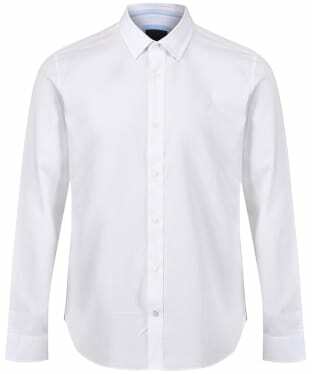 Whether you are working or relaxing with friends, the 100% cotton poplin shirt is sure to keep you comfortable all day long, and has been tailored to allow for a touch more room through the body and sleeves, for ease of movement. 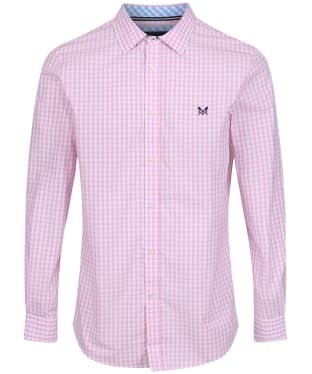 Designed with a gingham check, the shirt will ensure you are on-trend no matter what the occasion, and is finished with signature Crew branding for that added mark of quality and style. 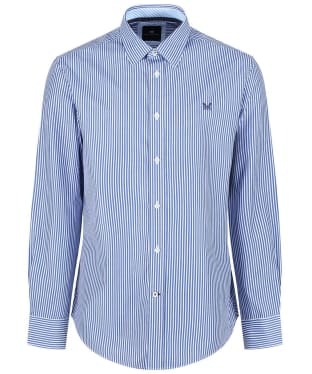 No gentleman's wardrobe should be complete without the Crew Classic Fit stripe shirt. Created with cotton, this shirt is sure to be comfortable throughout the seasons, creating a smart look that appeals to any occasion. 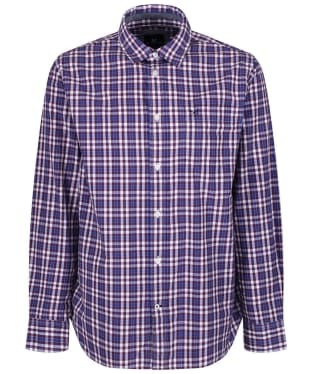 Stay on-trend with this classic-fit shirt, which can easily be paired with a pair of chino's or jeans, for a stylish, effortless look. The shirt has been perfectly finished with Crew's signature branding, adding a touch of quality and style. Anew addition to the collection, the Men's Crew Clothing Bridford Shirt has been crafted from 100% cotton, to keep you comfortable all day long, whether you are working or out with friends. 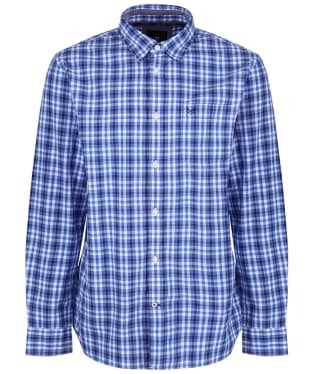 The versatile shirt features a button down collar and cuffs for a super smart feel that you are sure to love. Cut to a classic fit, the Bridford has a wider body and sleeves, a longer tail and traditional centre pleat for ease of movement. The more generous fit is perfect for the cooler months, as you can easily add a layer underneath for extra warmth on those chilly days! Finished with Crew Clothing signature branding for that added touch of quality and style, the Bridford Shirt will look perfect when paired with your favourite Crew Clothing jeans and jacket for a casual, on-trend look. 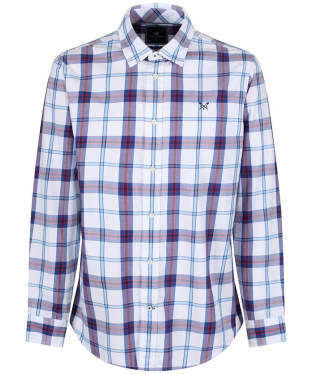 The Men's Crew Clothing Belstone Classic Check Shirt is perfect for adding a touch of style to your look, perfect for carrying you from work to weekend with stylish ease. 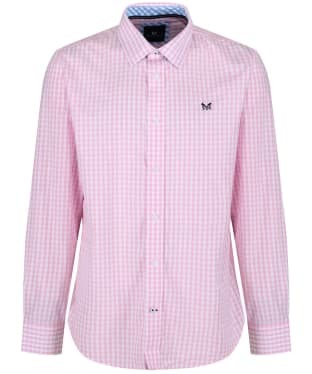 This shirt has been crafted from 100% cotton pinpoint to offer you added comfort yet versatile finish. 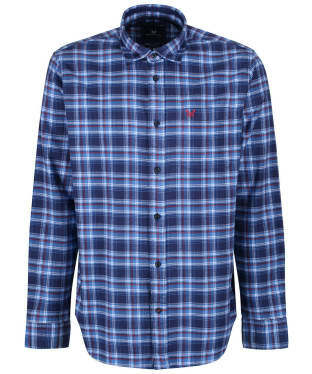 The Belstone has been tailored to Crew Clothing's classic fit which is cut for a more relaxed feel. 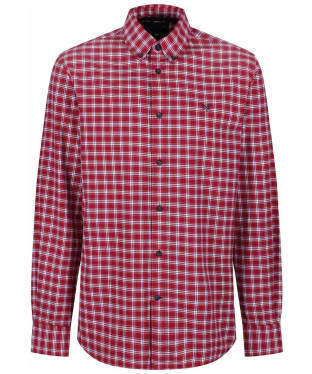 This versatile Crew Clothing Aldenham Check Shirt is great for dressing up or down, so it's sure to become a firm favourite in your wardrobe this season! The classic fit makes it perfect for tucking into trousers and jeans, while functional button cuffs give the option for a laid back rolled sleeve. Crafted from 100% cotton, the Aldenham shirt is ideal for layering under jackets and jumpers for a comfortable winter look. Finished with a simple patch pocket and the classic Crew Clothing Oar logo embroidery to the chest.